Deirdre Shine, President of Kilkenny Chamber was delighted to announce recently the appointment of John Hurley CEO of Kilkenny Chamber of Commerce as Chairperson of the South East Region Chamber Co and in a recent interview explained what this means. The South East Region Chamber Co is the regional voice of Chambers in the South East of Ireland and is comprised of Chambers of Commerce in the counties of Carlow, Kilkenny, Tipperary, Waterford and Wexford. Kilkenny Chamber is represented on over 20 different Boards and Committees and these are the means though which the future of business in Kilkenny is planned and promoted. This includes representation on the Local Community Development Committee (LCDC), Kilkenny Tourism, Municipal Policy Committee, all 5 Strategic Policy Committees, Kilkenny Age Friendly, Kilkenny Youth Employment, National UI Maynooth Campus, Kilkenny Leader, Kilkenny City Cares, Carlow Kilkenny Energy Agency, the SE Action Plan for Jobs Implementation Committee and others. Kilkenny Chamber is a key influencer and decision maker in this context and makes a hugely important contribution to the shaping of Kilkenny’s future. “Every business person knows of the importance of proper representation at this level but many are simply too busy in their own businesses and cannot find the time to attend meetings and get involved in these important discussions and debates. The best solution is often to join membership of Kilkenny Chamber and in that way have your voice heard and your views acted upon.” he said. 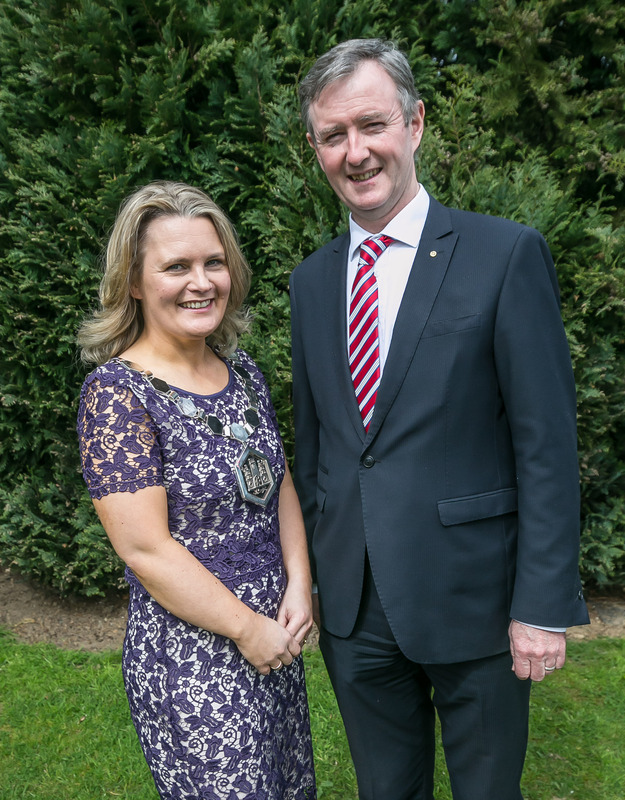 Deirdre Shine, President and John Hurley CEO of Kilkenny Chamber of Commerce. Photo: Pat Moore.